2015 was a great year for “teaching like an artist”! I presented at a few conferences, wrote a lot of posts, finished a book and put it into practice on the job more than ever. I’ve seen many teachers and students inspired by these principles I love to highlight. 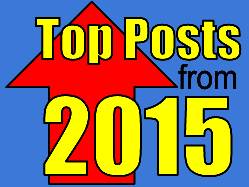 Several themes show up on this blog, but reflection took the center stage in 2015. I’m thrilled with that because it's always my goal to give teachers and students something deep and meaningful to ponder when I present to them. Here are the top posts related to reflection questions for teachers. They are suitable for PD activities, a PLC or as a personal reflection exercise. Finding Strength to Do the Real Work of Teaching - These survey results and thoughts became the #1 post of the year! Reflection Journal Template and Resources - This is my student reflection journal created in Google Apps. It's suitable for many grades and subjects. I challenged myself to post on one of my blogs every day in the month of October. The goal was to highlight conference sessions I was presenting with two friends in early November. We called it The Way of the Google Drive. Writing these posts was a great way to focus in on the heart of my message. I am grateful to see others found these top posts to be of interest. Art and Risk - Trying something that "might not work" can make it more exciting. Student Opinions of Our Inquiry Based Learning Activity - What students learned from that exciting project was the best news of all! Doing the Real Work of Art - Some see hard work as a sign something is wrong. Maybe it means you're on the right track. Like Never Before - I almost forgot I wrote this post way back in February. It highlights the story that grew into The Way of the Google Drive months later. Two Years of Teaching Like an Artist - A quick look at where I was and what I've learned since the summer of 2013. My most popular page of the year (not counting the main blog page) has been the one about my Teaching Like an Artist daily journal. Please check it out to see how you can get a free digital copy! My free digital journal guide, 31 Days of Teaching Like an Artist. In this post I raise one such question: How do you keep going when teaching gets tough? I’ll answer it myself first, then I’ll present the answers I received from an informal survey I gave to my extended PLN on Twitter. The second step of The Way of the Artist is to do the work to make your dream into reality. There is no way around it. Some days great art demands sheer effort to push through. Everything else has to be put on hold. The final product becomes a work of art, in the truest sense of work. Good teachers know that real teaching also demands that kind of effort. I reject any advice for success that promises an easier path. I've spoken with teachers who think they're doing something wrong when it requires so much. I say it might be a sign they're on the right track. Certainly it's not always exhausting. But it's a challenge to lead our students through deep, personal learning experiences within the constraints of a largely outdated system. We often discover it takes more from us than we expected to give. And while we keep the classroom going daily, we must constantly improve our craft to keep pace with the change of our times. I have so much respect for those teachers who, in these circumstances, do this hard work and regularly make a positive impact. I like to ask them what the do to press on even when the job gets tough. Of those I know personally, they've told me things like they rely on God or they stay focused on the students. Many seek affirming relationships. A few press on, carefully tracking the years or days to retirement. I don't have classes of my own anymore, but I still face discouragements and challenges common in education. The task of encouraging people (most often adults or young adults) to learn and to stretch wears me down at times. After more than 20 years in education, I learned, whether in the good or tough times, I need a daily routine to keep the right attitude for success. My mornings start about 90 minutes before I have to leave for work. I believe teaching is a calling from God, so I start my day with a spiritual focus. I have a responsibility to teach in this place and time where I find myself, even when it doesn’t seem to fit me. I take time to read the Bible and pray. Through periods of depression and the many years I felt out of place teaching high school math, this is what got me through. I will continue to point to this foundation for any success I might achieve in my career. My routine usually continues with a short workout. Through it I listen to worship music or other uplifting songs. Music is a passion and creative outlet that energizes me in profound ways. I also make time for professional development and the big picture of education by going through Twitter and blogs I follow. A shower and my 20 minute drive to work provide the opportunity for the big ideas to come. The visions and insights I get then stem from and fuel my passions. Whether on the job or as a side project, they can keep me excited for weeks at a time. When the daily job is tough, I look forward to what I might accomplish in the bigger picture through conferences, training and more. As others will say below, I also rely on conversations with colleagues. I benefit greatly from continuing those conversations with my wife, who lets me express everything without the professional restraints required in the workplace! Almost all of the responses are from classroom teachers at different grade levels. Everyone except the last person still works in schools. The themes of their answers are evident. Teachers get through the tough times by focusing on the positive things that are working and we rely on each other. They also bring up a couple other less common practices that are great to consider. 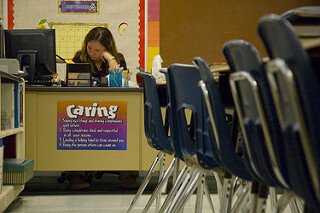 What are one or more things you do to keep pressing on when the work of teaching gets you down? There is always a good news story happening in a school. I focus on that. Remind myself that I don't have to keep teaching - usually the reminder reminds me that I actually do like it. Focus on the good things that happened that day and tell people about it. Talk with a friend or - even better - a fellow teacher about it. Read a book or watch something that takes me away from my life so I can have a more objective view of my struggles when I 'return' to my life. Focus on taking care of myself. Making myself a priority makes me feel like the world won't end due to the fact I'm having a hard time. Sometimes when I get so mad at my students that I want to yell, I speak in an accent instead - it works! Find ways to laugh with co-workers & maintain a good sense of humor. Seek support of colleagues, both nearby in my building and virtually in my PLN. I surround myself with positive colleagues who help me keep things in perspective. I remind myself of the sense of accomplishment I always get after finishing a tough project, telling myself I've gone through harder tests and succeeded. I remind myself of how far I've got so far. I pursued National Board Certification. It helped me refocus my energy and find my joy again! Go visit the kindergarten class - It makes me appreciated my older kids. Take a break from marking and do something fun. Devote the opening thirty minutes of every day to my PD -- If I'm sitting at my desk working, nobody knows what I'm working on. Set up doable tasks for my breaks -- Grade four essays, populate my online class calendar for next month, etc. Look for small successes. Always be positive! I talk to other teachers. I put things into perspective and tell myself if i only reach one person, then I'm doing a good job. Try to see things from a student's perspective. Know and believe I can make a difference. Having a supporting learning network is huge; but having a will to improve above all else keeps me going! This final response is from someone who eventually found their place in education outside of the school setting. Many of us have considered such a move and there's certainly nothing wrong with the decision to leave. Obviously the conventional path of a teacher is not the only road to success and fulfillment. I used to scroll through teaching jobs overseas - I had taught English in China right after college and traveled a lot so these bookmarks with job posting were my little escape route after a horrible team meeting. When the teaching got me down so deep that I could no longer see the ladder up, I turned in my letter of resignation. It was relief and joy that I felt (I even went shopping and bought a new Coach purse!). Image by Bart Everson from here. My free daily journal, 31 Days of Teaching Like an Artist. My math students weren't always thrilled with my idea of a good question in that subject! From my career and college class to my teacher professional development sessions, though, I've received a lot of thanks and appreciation for thought provoking questions I've raised. 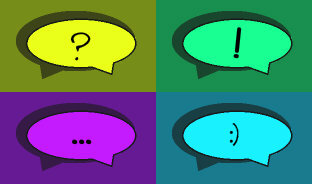 Good questions at the right moment can make a tremendous impact on our lives. In searching out the answers, we experience the excitement of discovery. They help us see the wonder that is around and within us. I like to ask teachers questions that remind them why they chose a career in education. I want to awaken dreams and that vision they once had of making a big difference. Questions can draw us back to those moments and give us a fresh perspective on the daily challenges we face. Some of these are suitable for small group discussion or sharing in pairs. Others are probably best for each teacher to write a response individually that no one else will read. 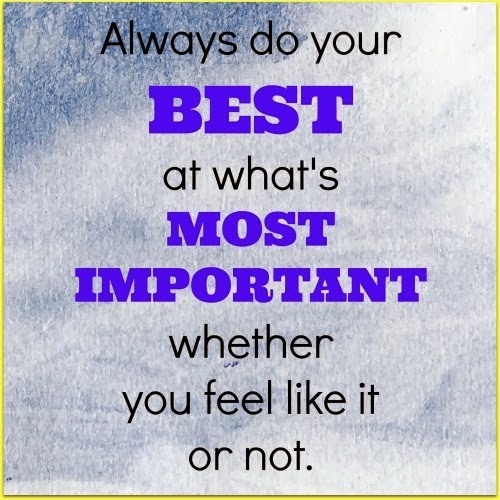 1) What is your favorite advice that you share with students? This might be something you have told students for years or something you recently started saying. It might be that thing that they say in a mocking voice, to make their classmates laugh when you're not in the room. Is there a particular way you say it (or otherwise present it) to help them remember it? Why is this advice particularly meaningful to you or how did you come up with it? Do you have a story to tell about how students have received it or what difference you have seen it make? 2) When did you first realize you wanted to be a teacher? What do you remember about that moment? Explain it in detail. Who did you first share that dream with and what was their reaction? How does the vision of yourself that you had in your mind then compare to the reality that you see in your classroom each day? Did you believe that those early moments of the dream to teacher were, in some sense, a calling? Explain. 3) Imagine writing a letter to yourself as a first year teacher. Knowing what you know now, what advice would you give yourself? I thought of this question after reading Austin Kleon's book Steal Like an Artist. See my own letter to myself here. What struggles and successes did you experience that first year that relate to this advice? Would you try to talk yourself out of the job (maybe even just a little) or encourage yourself to stay in it? 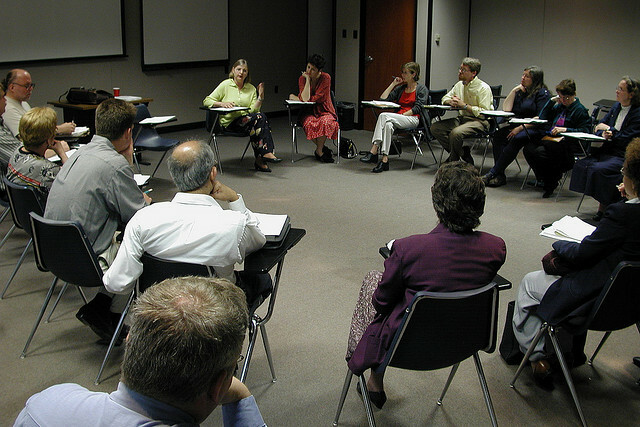 Did this activity bring back a memory or make you think about your work in a new way? Explain. 4) What are your three favorite books and why? When did you read these? If it was years ago, do you think they'd affect you the same way if you read them now for the first time? Do you recommend them to your students or colleagues? What is the most recent book you've read that had a big impact on you? Explain. 5) Imagine your retirement party. Three people stand up to pay a tribute to you and your work. Who would these people probably be and what would they say? This is a spin on Stephen Covey's excellent Funeral Exercise in The Seven Habits of Highly Effective People. One of the most memorable, emotional moments that took place in my classroom was the day I had high school seniors work through that exercise. Also imagine you give a closing speech to the friends and colleagues in attendance. What message would you most want to leave them with? What story would you almost certainly share? The purpose of this type of exercise is to know what you're aiming for. What did the activity reveal about the mark you want to leave? How well have you done so far at making that mark? What changes could you make in the remaining years of your career to be sure you have this desired impact on your students and colleagues? You can get a link to download your free copy of my journal 31 Days of Teaching Like an Artist by subscribing to my monthly newsletter. Like my blog posts, it comes with inspirational thoughts, tech tips and insights on teaching and learning. Just enter your email address in the form below to sign up! Please enter your email address here to subscribe to my mailing list. This is a slightly edited version of a post I wrote a few years ago for my other blog. The original was inspired by Austin Kleon's book Steal Like an Artist. In it he gives advice about creativity by thinking of what he would tell his younger self. After 21 years in public education, what would be the most important tips I'd tell myself? I boiled it down to the list of six things below. They're personal, but I think others can find some application in them for their own situations. To set the scene I have to admit that the first half of my teaching experience was rough for me. I did not enjoy much about teaching high school math. There was plenty to be thankful for and a lot of students liked my classes, but dealing with difficult students and seeing my inability to reach all of them was tough. I felt like a failure many days. Here's my list of what I'd tell my 25-years-old self, in that first year. 1) Be realistic about what you're getting into. The students you will be asked to teach are coming in with poor math skills and a poor attitude toward the subject. Very few of them will see math class as the positive experience that you did. Be prepared for this! Set realistic goals of what you can accomplish in those first years as you are learning to be a good teacher. 2) Take the work seriously, but don't forget about the relationships you are building everyday with your students. You tend to get focused on the job and forget about people, but they are most important. Even the difficult ones will respect you for your hard work if they also know you care about them. Years after the class is over you'll see some of them. They'll remember that you cared and worked hard more than they ever will the details of lessons, rough days, all those assignments or the grades they got. 4) Keep up on the technology. You're kind of a traditionalist and in the debate of calculators versus no calculators you'll be tempted to keep it old school. Instead, remember that many kids can learn the concept better if they come at it differently than you did. It doesn't have to be all pencil and paper and a ton of steps. Keep an open mind on that and use technology to give them a conceptual understanding useful for problem solving. When the principal asks you to try more with technology, do it. Doors will open for you and you'll enjoy the change as the best years of your career. 5) Assign creative projects, even in math. Your department will focus almost exclusively on the state MEAP test, but don't let that drain your classroom of creativity. You'll be busy and it will be easier to just keep it simple and routine, but things like the video assignment, personalized story problems and the artistic projects are vital. Keep developing those assignments. Add a new one every semester so that when students think back to your class, they remember those things they made. You'll like it best when students say you're not like the other math teachers. 6) Remember that you felt called to teach. In frustrating times you'll think you should have gone into programming instead of working with kids who don't want to be there. All those visions of being an amazing teacher will be shattered by reality and you'll think you misunderstood what you were supposed to do with your life. But just like you did that day when you got the unexpected call and they offered you the job, trust that God knows what he's doing. You are supposed to be there. You won't reach everyone personally or with the math, but you'll connect with many students. You'll remind them that life is exciting when chasing a dream. They'll take notes when you talk about what true success looks like and many will thank you. Among other things, you were called to pass on those messages. Let them flow through all aspects of your work. You and many others will be thankful for the lesson. Reader Survey - And chance to win a free copy of my journal! Looking for a way to "stay inspired to inspire others"? This book could be for you or a colleague. 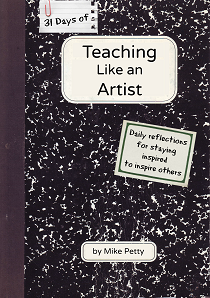 You can receive a digital copy of my Teaching Like an Artist reflection journal guide just by filling out this survey. You'll also have a chance to win a free paperback version. If you want more information about the book, please see this page.